Episode 4 – No Judgey! The Crochet Crowd Stitchcation – Crochet at least 20 squares that they provide for you in at least 8 different colours and enter to win an awesome prize pack from Red Heart! Check it out! 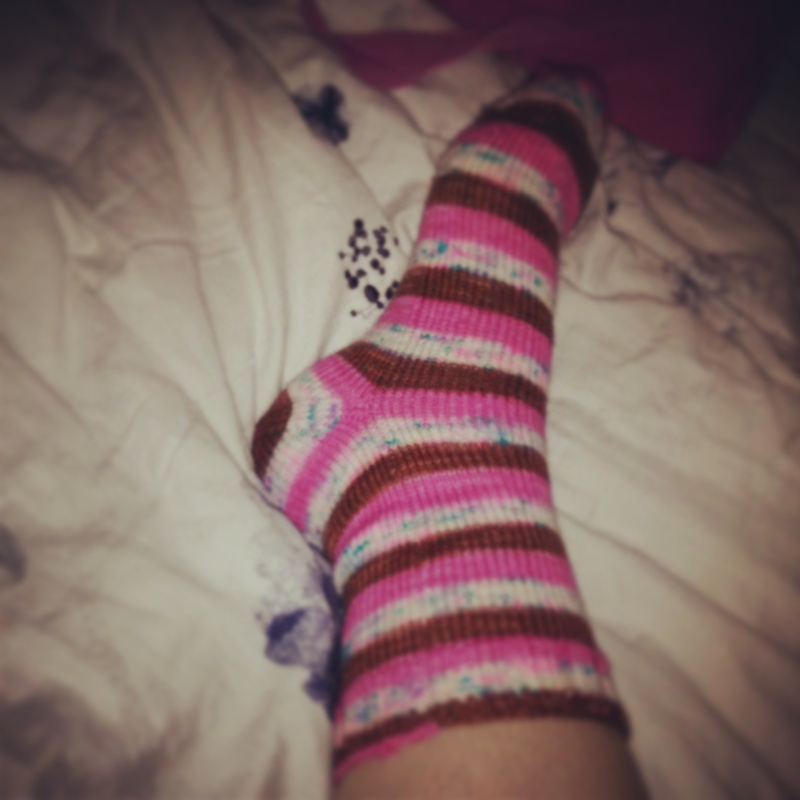 Katy finished 1 sock from her Desert Vista Dyeworks ‘Happy Birthday Cupcake’ socks. 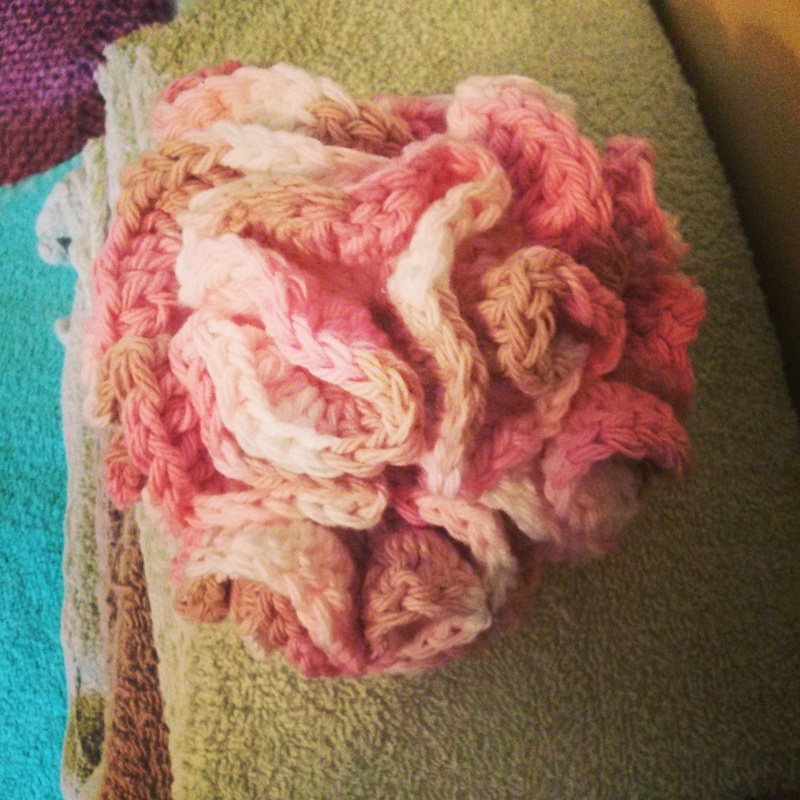 She also finished a couple knitted and crocheted dishcloths and a crocheted bath puff! 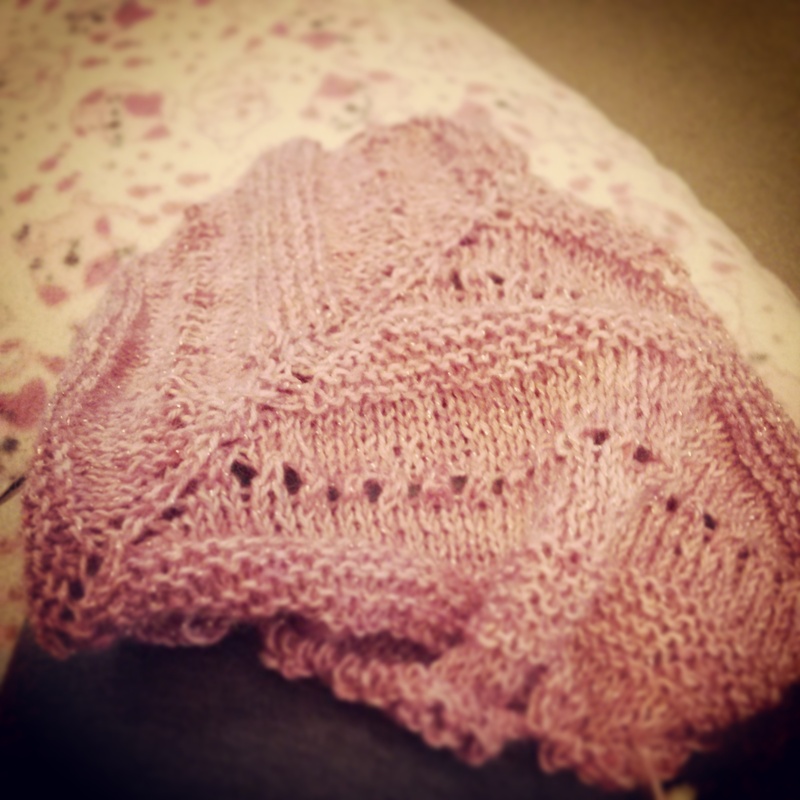 Valerie is working on the Orchid Thief Shawl by Ysolda Teague in ‘Quidditch Debt Coma’ that Katy had dyed for her a few years ago. She found a very informative video tutorial on the ‘garter tab’ cast on by CCKnits on youtube. 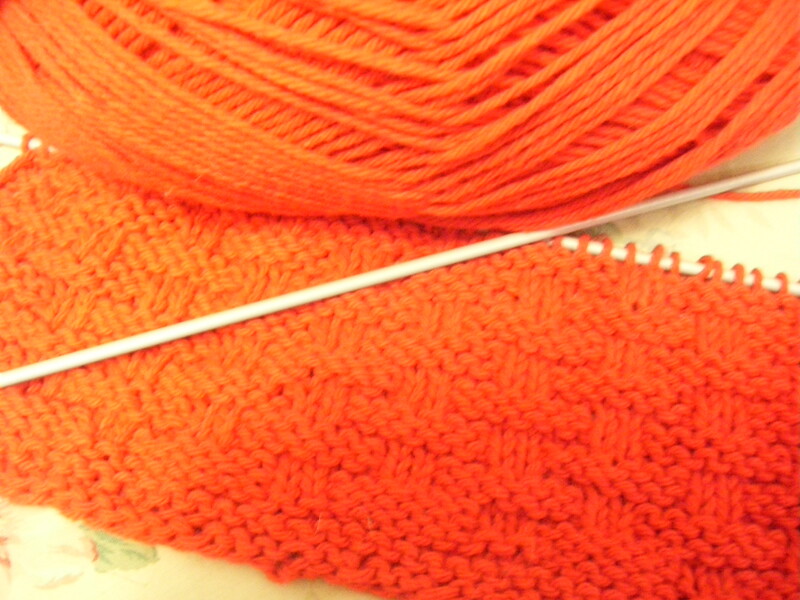 She is also working on a Bernat Basketweave Dishcloth and the Corner to Corner Afghan from The Crochet Crowd challenge from the Summer of last year for her new baby nephew. 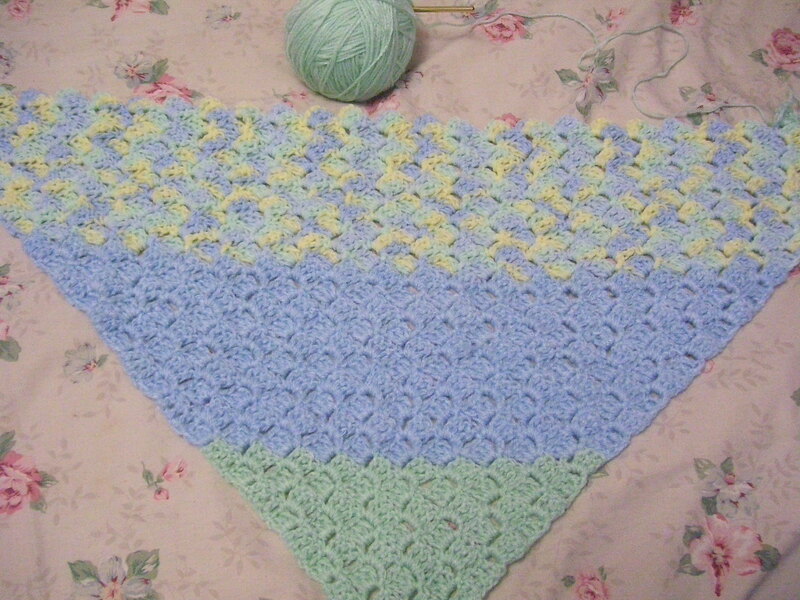 She is also working on the ‘Flowers in the Snow’ Afghan. 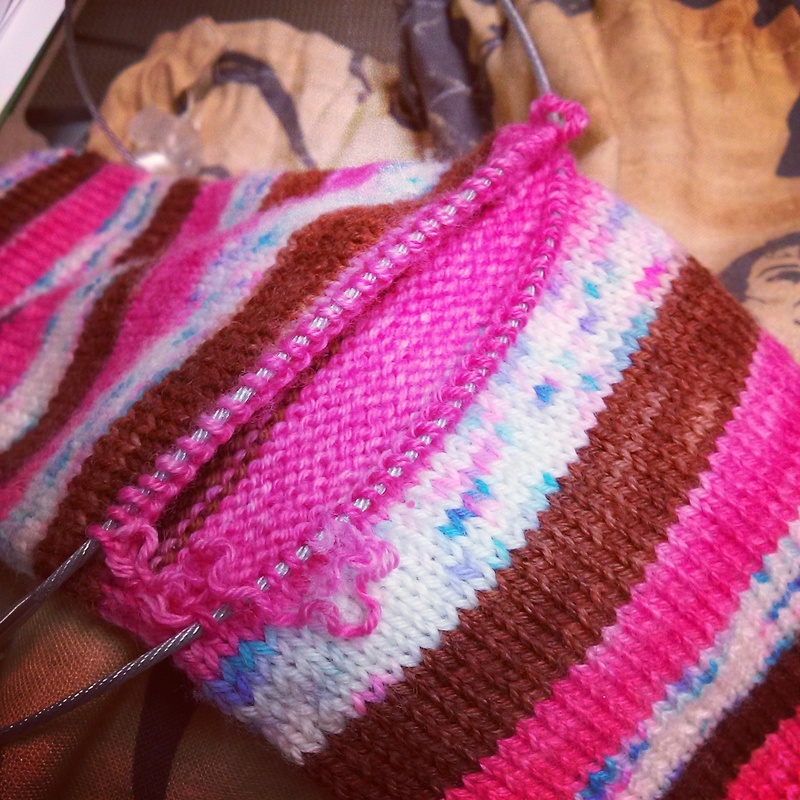 Katy is working on all the things she’s been working on in the previous episodes but she has cast on Lala’s Simple Shawl in Red Heart Stardust in pink using 4mm needles as a gift. Valerie is still spinning the lavender fibre from the Fibre Garden. Katy finished 136 yards of a 2 ply sport-dk weight yarn from Squoosh Fiber Arts on Etsy – 100% SW Merino wool – all spindle spun and plied. But since she needs practice for the Royal Winter Fair, she is spinning the rest of the braid on her wheel. 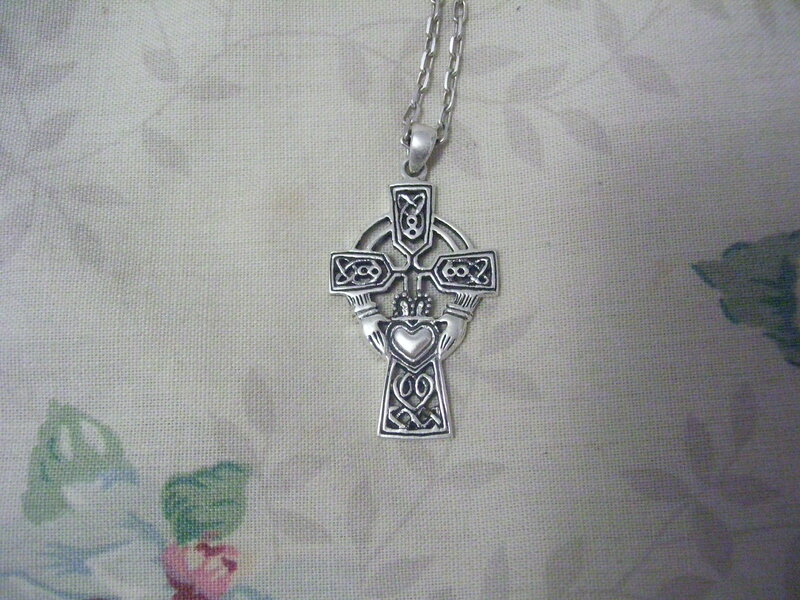 Valerie got a gorgeous Celtic Cross pendant for her birthday from her Hubby!! 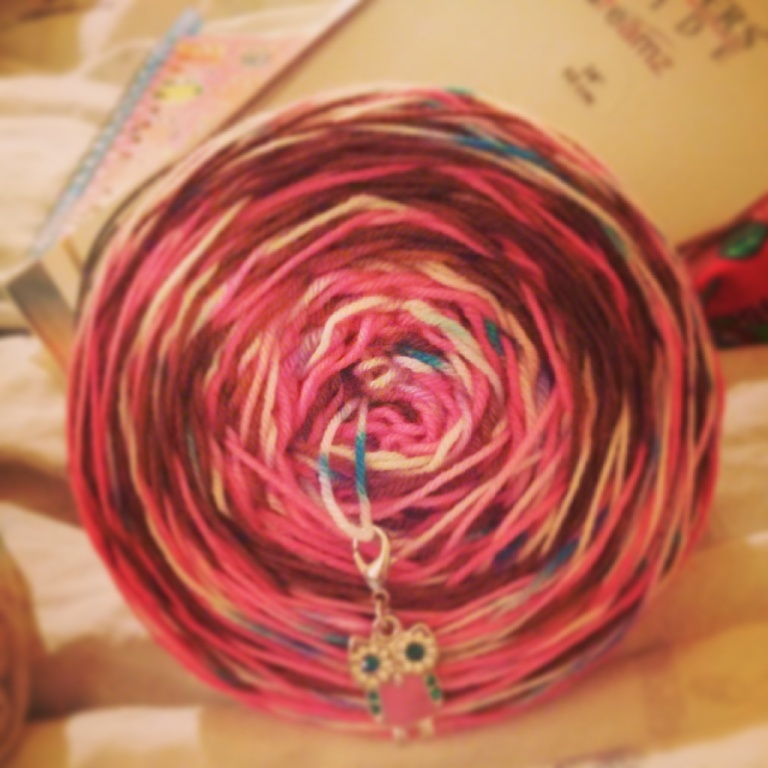 Katy got another skein of Jack is Back! 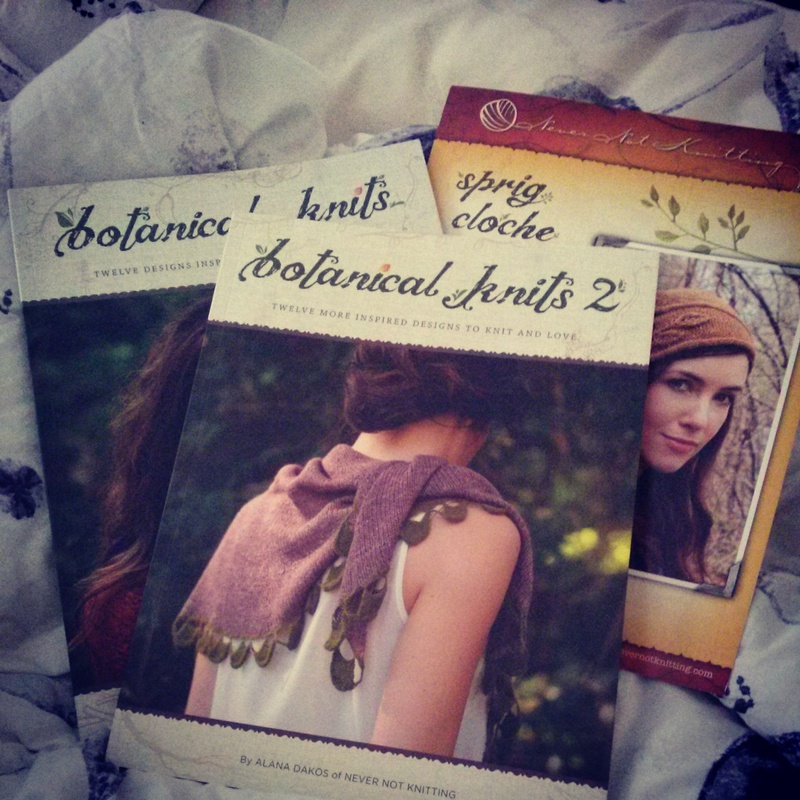 from The Loopy Ewe, Botanical Knits 1 & 2 by Alana Dakos and she wants to knit EVERYTHING!! 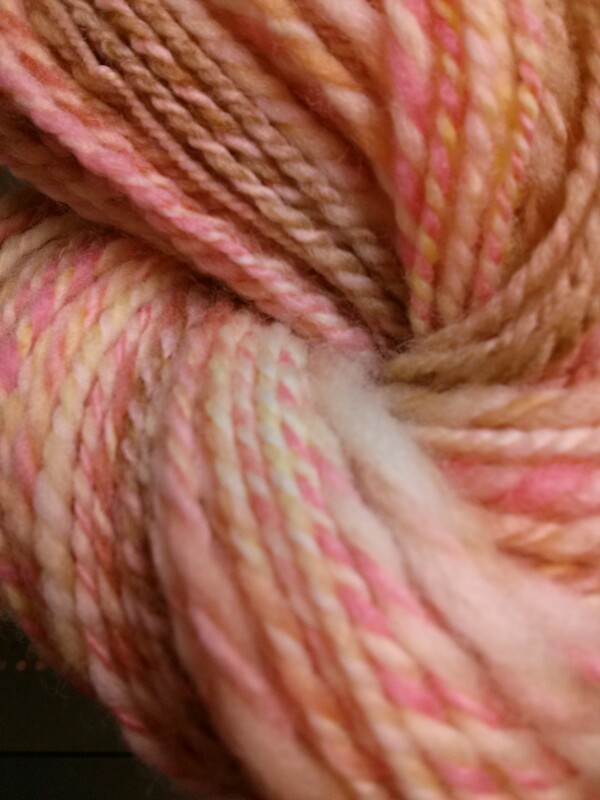 She also got a lovely skein of yarn from Coloring Book Yarns on Etsy as a gift for a friend (so we can’t show a picture of the actual yarn just yet… cause Emily listens to the show 😉 sssshhhhh) but just know that it’s gorgeous and there was excellent customer service and super fast shipping!! Valerie is watching the newest and last season of True Blood on HBO Canada and she is also watching Shogun with her Husband. She had finished reading the latest Diana Gabaldon book ‘Written in My Own Heart’s Blood’ and both Valerie and Katy are looking forward to watching ‘Outlander’ on tv in August – on Stars network in the States and Showcase in Canada. Katy is still watching 24 (and blaming Karen of Knit 1 Geek 2 for getting them hooked), Wild Things with Dominic Monaghan (he is ‘wildthingsdom’ on Instagram)… and WWE with her Husband. NO JUDGEY! BIG SHERLOCK ANNOUNCEMENT!!! There will be a Sherlock Special as well as 3 new episodes next year!!! Filming for the special (which will be 90 minutes long) will begin filming in January 2015. 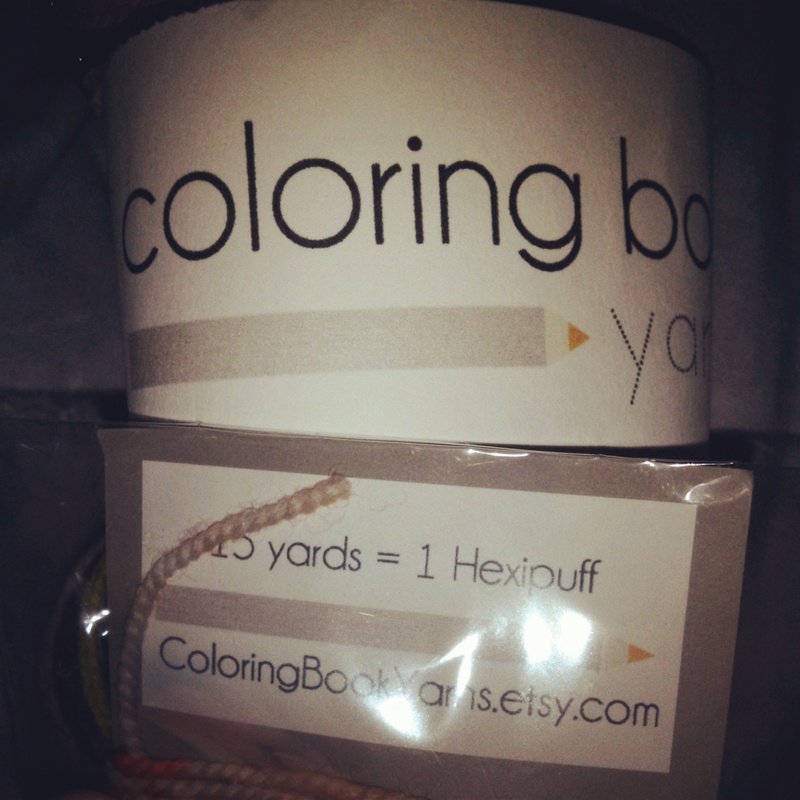 STOP!… You had me at Yarn! Valerie has been drooling over the colourway called ‘Calico Cat’ by Yarn Vs. Zombies which looks just like a cute calico kitty 🙂 As well, she has found the July colourway of Lorna’s Laces called ‘Beach Blanket Bingo’ available at Jimmy Bean’s Wool which is so bright it’s bound to make anyone happy just looking at it! As always, you can always leave us messages here on the blog or visit our Ravelry group or contact us by visiting our ‘About’ pages here on the blog! Take care everyone! « Episode 3 – Off the Hook! where did you get this cross? Hi Heather! Val bought the cross pendant from ebay and doesn’t know if the seller still has more, but give it a search! Good luck!